18465 Se Village Circle Tequesta, Fl 33469 has been sold. THIS LARGE ESTATE HOME IS PRICED RIGHT AND READY TO GO. VERY OPEN AND SPACIOUS FLOOR PLAN OPENS UP TO A GREAT BACKYARD SET UP FOR ENTERTAINING WITH A MARVELOUS PATIO/POOL AREA. HOME HAS 2 LARGE MASTER SUITES, ONE UPSTAIRS AND ONE DOWNSTAIRS, ADDITIONALLY 2 OTHER BEDROOM SUITES. KITCHEN OPENS UP TO FAMILY ROOM AND OVERLOOKS POOL. THIS IS A MUST SEE AND PRICED GREAT. 18465 Se Village Circle located in Tequesta, FL is a single family home with 4 bedrooms, 6 full baths and 2 half baths.The Home at 18465 Se Village Circle was built in 1985 in Jupiter Hills and offers a 2.5 car garage. This Jupiter Hills Home offers pool, tennis, bike - jog, street lights. 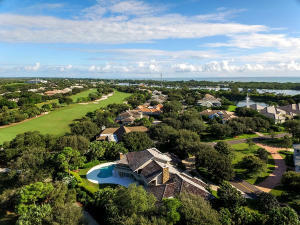 18465 Se Village Circle Tequesta, Fl is currently listed for $1,350,000 under the MLS# RX-10175126. This Home has been put on the Tequesta MLS system and currently has a status of SLD.